Q1. Are the old techniques of SEO, such as writing content, doing extensive research, and understanding your customers, still valid or have they diminished in value because of Social Media sites? Is keyword research still important? A1.Fundamentally, all these things are true. The algorithm -128 factors – are based on those elements. There are some new elements and changes, and more competitors, but there’s opportunity to excel in areas such as videos. We’re seeing some shift, but everything you used to do is what you still need to do. If you make your site the best it can be, people will visit, use you, and tell two friends. If you have a competent site that’s not a social destination, you’re going to have to include keywords that are used to find you. So, focus first on the page factors like content, but do them in the right balance. If you don’t, you disqualify yourself from other consideration. Q2: Having good quality links is very important. Do we need to create links from all 6 different buckets – from local websites, directories, search engines feeds, national directories, niche directories, and authoritative sites – as part of the link strategy? A2. Which links to use is dependent upon the nature of the site. Links help search engines determine that you know what you are talking about because other sites have voted for you as being relevant for that link. Inbound links help search engines understand you’re an expert. Also, the way the internal links are managed has equal weight in the Google Page Rank algorithm. Internal links pass page rank just as an external link coming to your site. Google stresses that you should link up to other experts. Hotel sites should link to the chamber of commerce, or to an expert from within the area. Outbound links are a key part of demonstrating that you are an expert. We have found that sites that don’t have outbound links have a problem ranking. If you add a couple of non-competing local expert sites, such as the chamber of commerce or local travel bureau, your ranking will go up because you are perceived as being a participant on the Internet. There is no pre-defined determination, but having outbound links really helps. Q3. So does that mean no follow outbound links or follow outbound links? Are we not losing page rank because of outbound links? A3.You don’t ever lose page rank. The way the formula works, is page rank is as it is accumulated on a page, it is then also passed, but the page always keeps the rank. A page keeps its page rank and then almost duplicates it and passes it to the people it links to. It’s like the Internet’s way of printing money. You earn your page rank, and then you pass your page rank equally, which is why having a very high page ranked site linked to you is much more important than having a low page ranked site linked to you. If somebody is page rank 8 and they link to you, they have not given up their page rank, but you have increased yours. So, Page Rank is not ever lost. Linking to a chamber of commerce site will not diminish page rank, but will give you credit for that outbound expert link. Q4: What are some key performance metrics for a site? Quality traffic? Ranking high? What are three key performance metrics for a partner you are working with? A4: Traffic is of top importance, and no SEO company can guarantee you page rank. 1.) In order to successfully measure SEO, you shouldn’t look at rankings, because ranking could be for words that nobody ever or seldom searches for. 2.) The html of your pages will determine if the page says you are in a certain area. If you are in 5 areas or a local community, list the areas you serve, not just the address of your property. Make sure your site has the appropriate words for what the query is. 3.) Local search has two sides to it. On one side, if I search for Las Vegas hotels, chances are I am not in Las Vegas. If I search for New York pizza parlors, I am probably in New York looking for something local. The search engines have figured that out. In cases where people search for generic words, the search engine looks for where the searcher is, and automatically gives them local listings. As that plays more, you are going to find that it is a serious advantage for a local property to be locally ranked. National properties won’t show up for the local words as well as they did, while the local property has a much better opportunity to be well ranked. Q5: There is a huge buzz on social media. What is the impact of social media on small businesses in the lodging industry and how can we leverage it? A5: There has been a lot of buzz about Social Media, like Blogs. With Social Media sites, you have to understand that curiosity is different than motivating people to buy. For example, YouTube videos generate traffic and branding, but they won’t make you rich. Everybody should be aware that social is a labor intensive process. If you blog with good content, people will follow you. If you stop, they will find somebody else. It requires a consistent and dedicated resource and appropriate content. Hotel businesses should Blog about local events, weather, and travel hints. If it is entertaining or educational, people will love it. Also, people are fickle, Twitter and Facebook are the rage, while MySpace is hardly mentioned. The bottom line is that all social media mechanisms will eventually be outdated or gone. But the people who like social like networking, and are involved in a community. So if you can serve that community, your site is going to win. Should you do Social? Everybody should. But you have to pay attention to it. It isn’t as good as SEO, because once you start, you have earned your ranking. With social, you start and once you have a following you’re stuck doing it a lot. If you can determine that you are getting traffic and sales and return on investment by the people that visit your site, then consider Social Media. Q6: What are some New Year’s resolutions small businesses and hotels should be focusing on? A6: Hotels should focus on videos, blogs and engaging items on their website. People want to be entertained and engaged. People like Blogs because they can answer your website and not just read it. Videos are very important for hotels because they have engaging images. Even if it’s just the morning weather taken from your lobby on a 2 minute video on your website. Soundtracks are fine too. You can interview guests that love your place and put them up and let people see that. You can record a conference, wedding or event. Show that you are the kind of place that reputable firms use daily. Everybody should make video part of their resolution. You should also continue to improve the content on your site and develop worthwhile links. Come up with creative ways of providing content that nobody else has so that your site is unique in the neighborhood! Many thanks to Bruce Clay, CEO of BruceClay.com, one of the world’s top SEO and internet marketing companies. 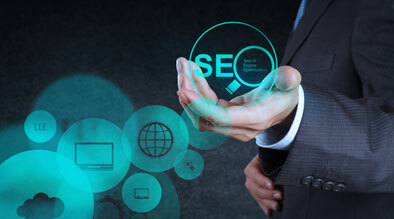 His insight and expertise on global internet marketing strategies will prove invaluable for business and hotel owners. Thanks for sharing the thoughts of one of the leading names in SEO. This content can guide those interested with internet marketing. I do agree that people need to focus more and more on videos/images and social media.. because it’s the future of advertising. I just located your website, I bookmarked it and i ‘m looking through the posts. I witout a doubt really like it. Exciting theme either way an individual look at this. I come right from this point of view which notice reviews as akin of tuning in. Thanks for your feedback – we are glad you find the posts helpful! Great info. I think it is important not to get overwhelmed and just take it one step at a time.